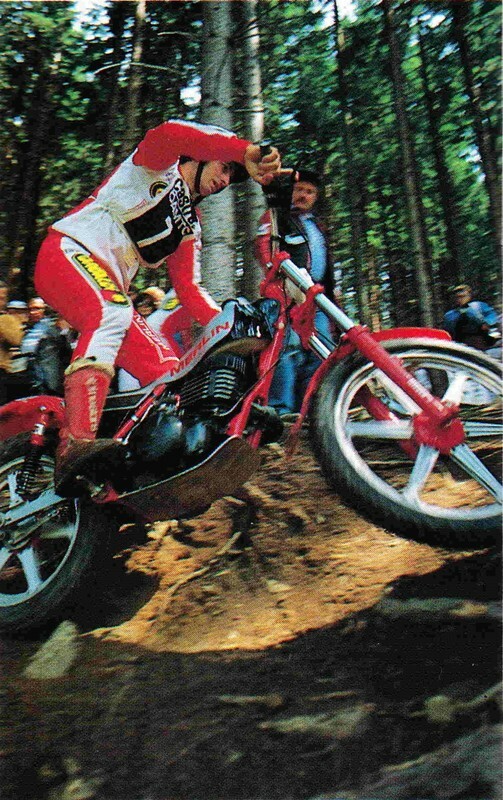 And when you eventually started riding competitions, did you ride the Catalan Championship or was it local trials? In the second year with Merlin I started to ride some of the Spanish rounds. 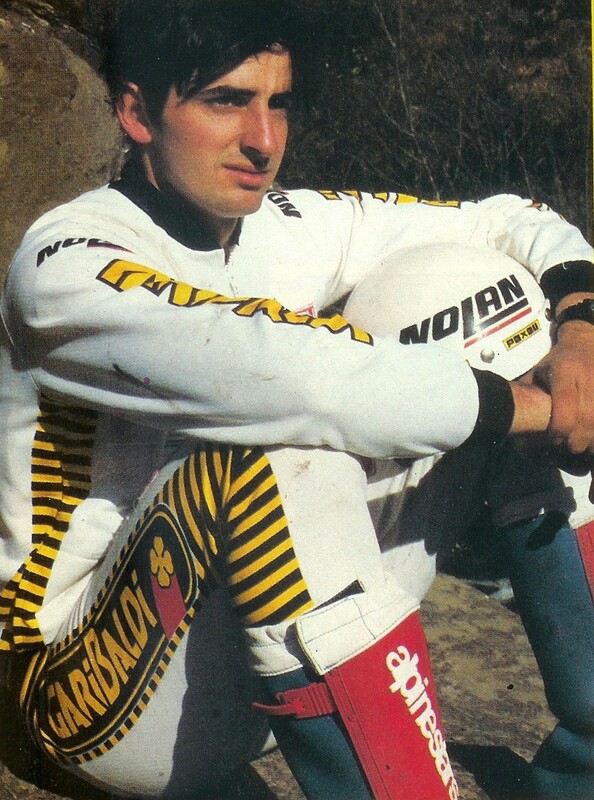 At this point I became very friendly with Lluis Gallach and we will go to the trials together and he would help me with my riding position and gave some training to me. He was great to me and I was riding many trials at this time whilst I was studying also..
​And how did things develop from here? 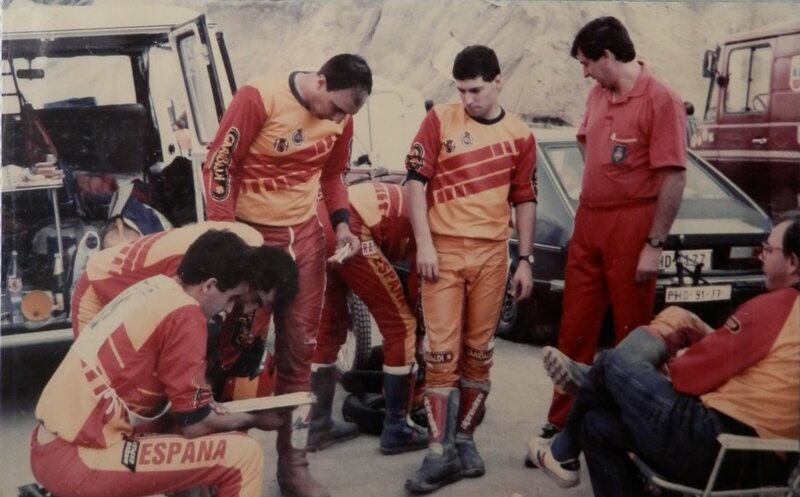 Albert travelling in 1985 with the Spanish federation riders and organisers. 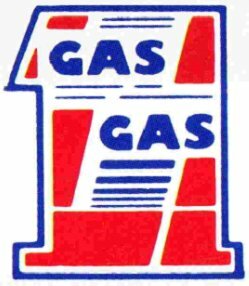 Freixas, Renales, Codina. I got to know Lluis as he only lives 20 minutes from my house in Torello and so many times I would call round at his house or telephone him when he was riding the Merlin and we will talk a lot and we got to know each other pretty good. I would be visiting him at his house and we got to know each other well and we would ride together and we became very friendly and for me it was a perfect time. He’s a great guy and he wanted me to help with the training as well. So we agreed this and I was his assistant full time for the trials. He said that we could make some arrangements so that I would still have time to study and it would be fine. 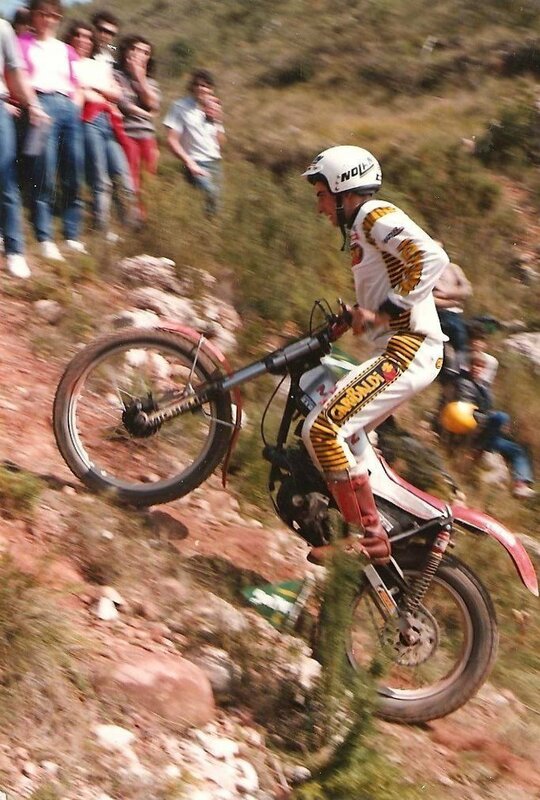 The first photo beneath was taken at 1984 the popular 3 days de Cingles Trial. 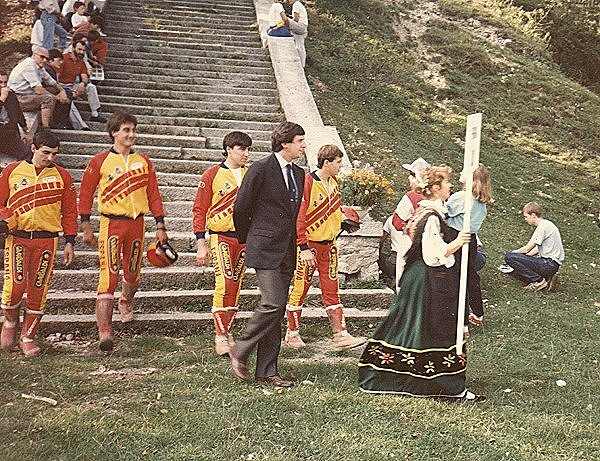 The 2nd photo was taken during 1985 at Bilstain in Belgium. We tried to figure this out between us and in the end I say “Yes” and I think this was the changing point between me actually living in Barcelona and coming up to Torello as often as I could and also then becoming fully immersed in the sport and the Championships with the trials family. 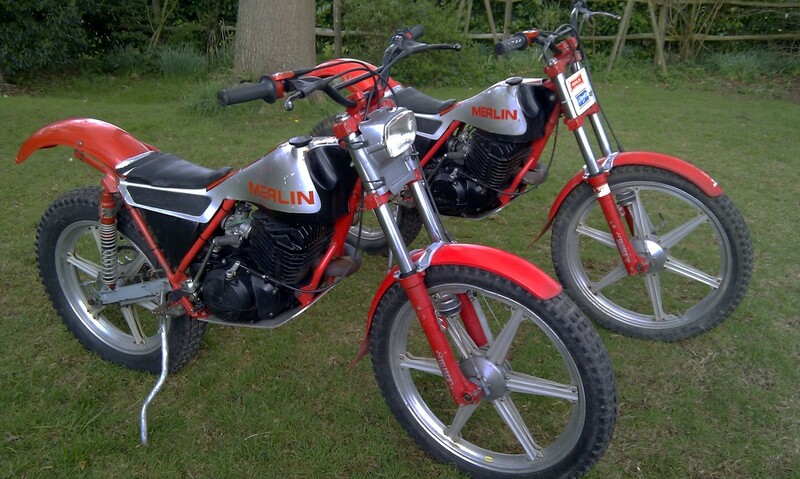 The 1985 Merlin Gallach replica. When I say that I became part of the family, what I mean is that as a spectator you are on the other side. I started like this, because this was a time when I had to focus on my education, studying and doing revision. To be honest I was more focused on the new opportunity with Lluis in trials. 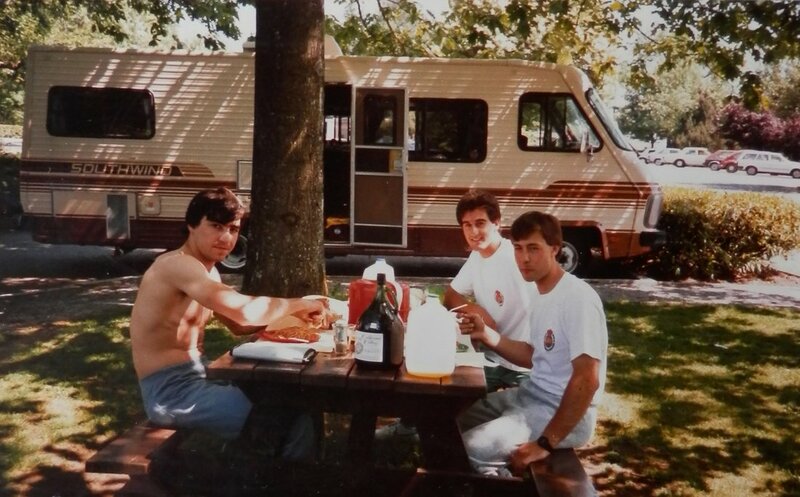 I was 18 at this time. 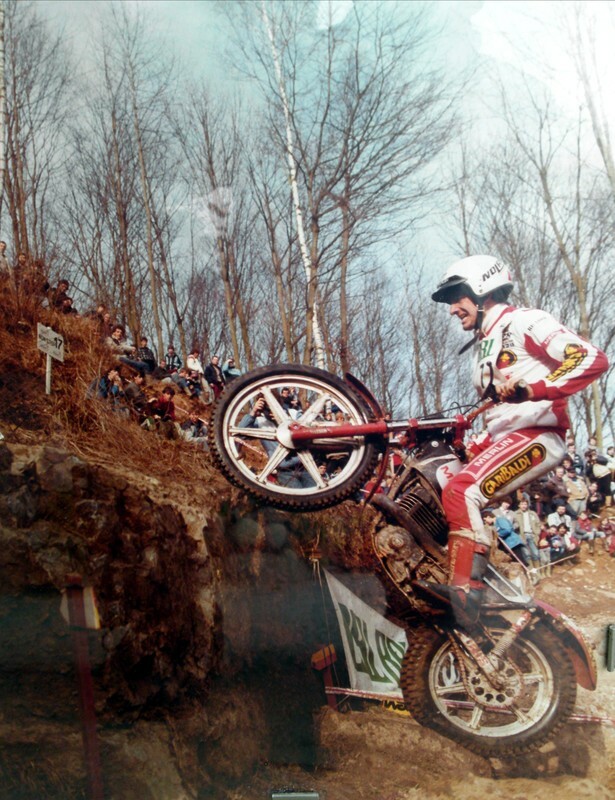 Trials team member Albert photographed centrally at the 1985 Trials des nations in Italy where Spain finished 2nd behind France. 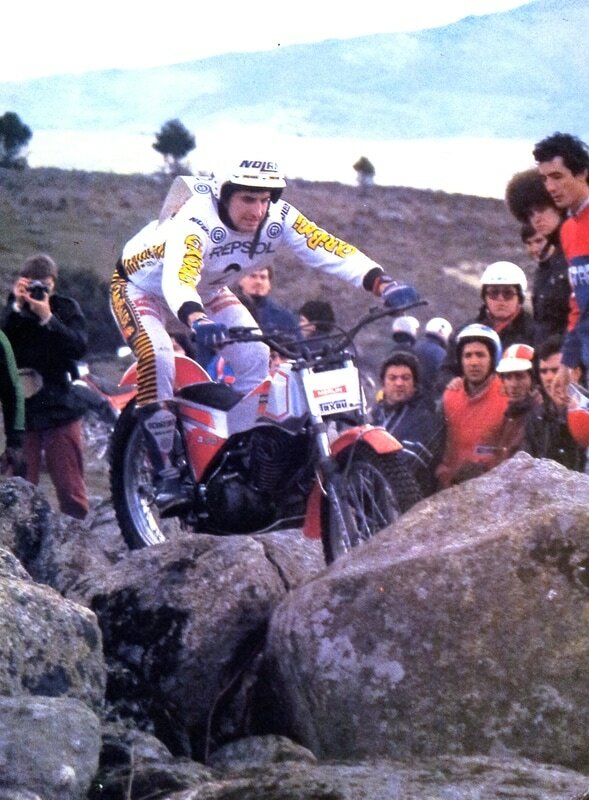 2 great 1985 photos given to Retrotrials by Lluis Gallach during his interview with this website back in 2012. 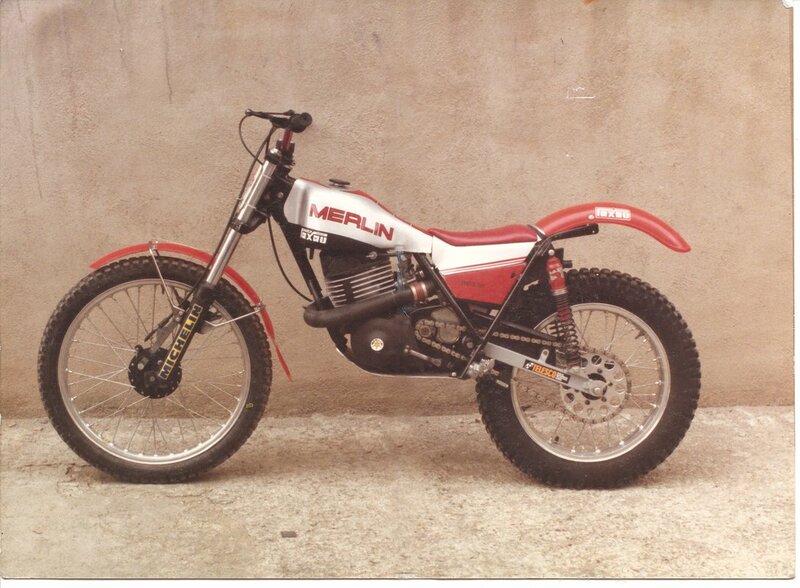 We had so many problems with the wheels on this Merlin, total problems. 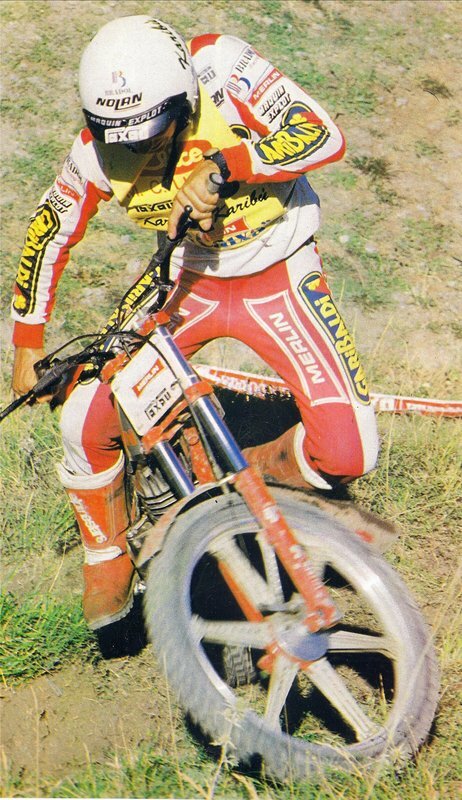 I would have to replace these parts often and we then got to the position where during training and away from the trial we would be riding with standard wheels and only at the trial would we put the standard model 6 spoke wheels back into the bike. 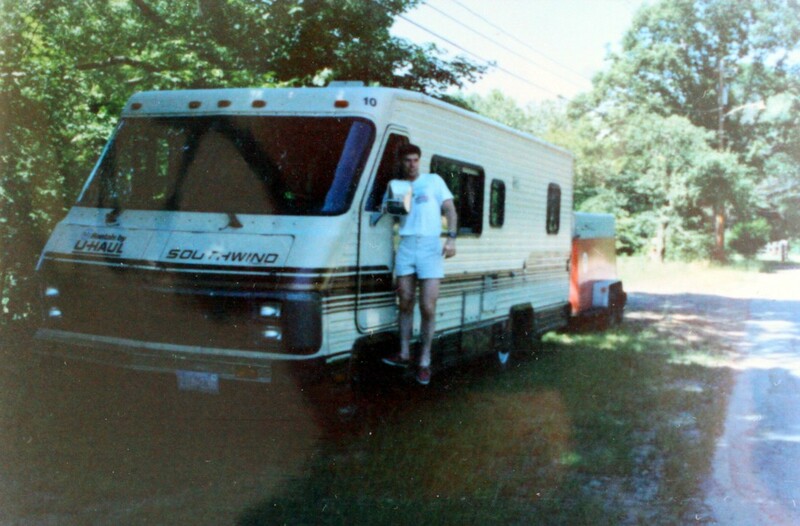 The photos beneath show Gallach competing on his Merlin fitted with regular spoked wheels. The 2nd photo is a static photo of his bike. When we rode with these wheels we were always nervous and we were constantly watching the wheels for signs of problems. We found always that the screws would come apart just when the bike was being ridden normally. You will hear a noise and if this was not dealt with immediately it would crack the magnesium and you would need a new one straight away. This would happen a lot, it was crazy. 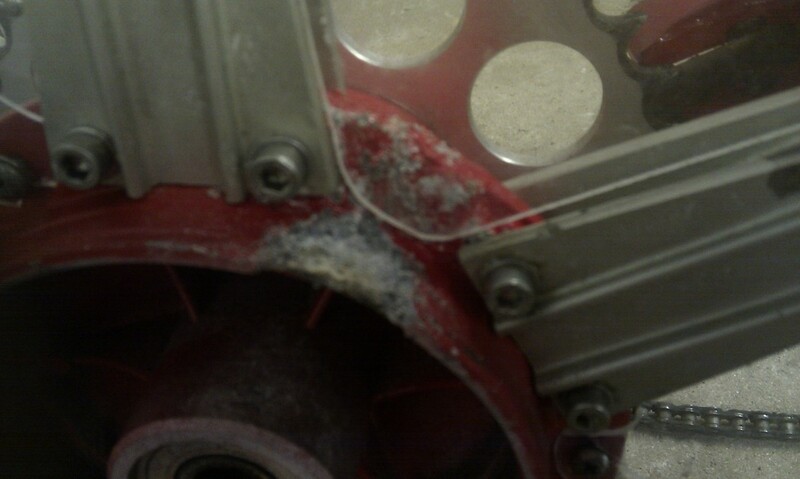 Retrotrials has experienced the magnesium hubs cracking before, however for clubman riding this isn't common. This was a repair that was welded using an incorrect Tig rod.